For many patients, capsules offer reliable, consistent and discreet dosing. Though the effects of the capsules may take longer to kick in than vaping or oils, they last longer (average: 6-8 hours). 1. What is inside each capsule? 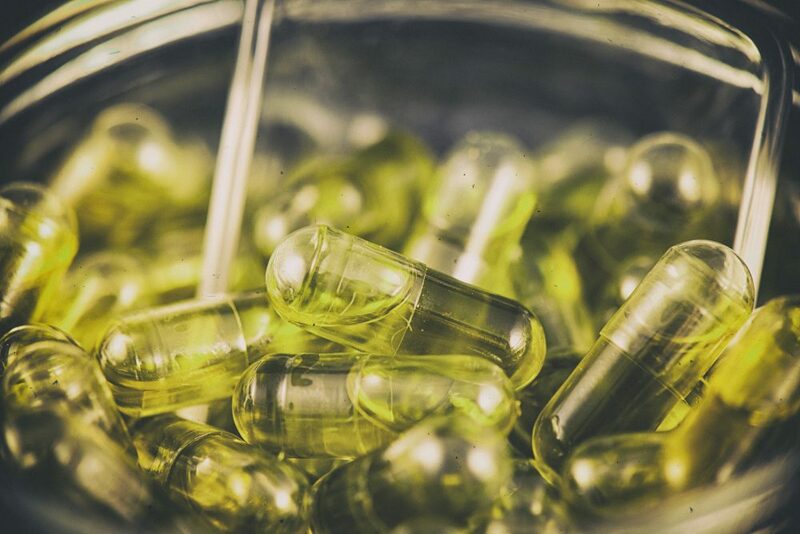 Inside each capsule is a specific pre-dosed and measured amount of extracted cannabis oil as well as an emulsifying agent which is most often either palm, olive or coconut oil. The shell is made of plastic and the size is standard double zero (don’t worry, these aren’t dinosaur pills). 2. How many capsules are in each bottle? Typically, each bottle contains 30 gel capsules. The potency of each bottle of capsules depending on the genus (Indica, Sativa or Hybrid) as well as the cannabinoid content (THC Dominant, Indica Dominant, Balanced). 3. How do I take the capsules? Just like a pill with a glass of water or juice. Never mix with alcohol. 4. How do I store capsules? In a dry place away from excessive heat and moisture. They can also be frozen. This makes them easier to cut in half should you wish to try a half dosage especially if you are taking THC capsules and are concerned about experiencing too much of the psychotropic effects that THC is known for. 5. How much do capsules cost? This depends on the genus (Indica, Sativa or Hybrid) as well as the cannabinoid content (THC dominant, CBD dominant, Balanced), but 30 capsules are normally priced between $85- $95 per bottle.